The Rev. 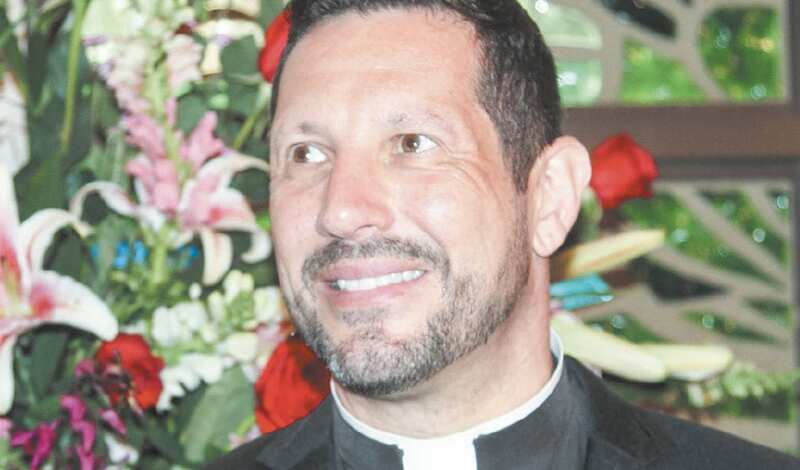 Neil G. Cazares-Thomas, senior pastor of Cathedral of Hope United Church of Christ, was among the local leaders who received awards at the Dallas Peace and Justice Center’s annual Peacemaker Awards Banquet, held Thursday night, Dec. 6, at the DoubleTree Campbell Center. Dallas Peace and Justice Center presented Cazares-Thomas with a “Justice Seeker of the Year” award in recognition of his efforts in promoting peace and justice since his arrival in Dallas. “This is huge honor, and I am humbled to receive this award,” Cazares-Thomas said. “I am only the public face of Cathedral of Hope United Church of Christ, a congregation that has long been involved in the work of peace and justice. I receive this in honor of the past, present and future Cathedral. “The work of justice and peace and matters of our faith are vital to the Cathedral, and we are commanded to make this world a more peaceful and just place,” he said. Cazares-Thomas was joined at the event Thursday by members of the Cathedral’s Board of Stewards. Others honored at the event were Hadi Jawad, Julio Acosta, Green Source DFW, Force for Immigrant’s Rights and Empowerment (FIRE) and Jan Sanders, widow of U.S. District Judge Barefoot Sanders, who received the Lifetime Peacemaker award.